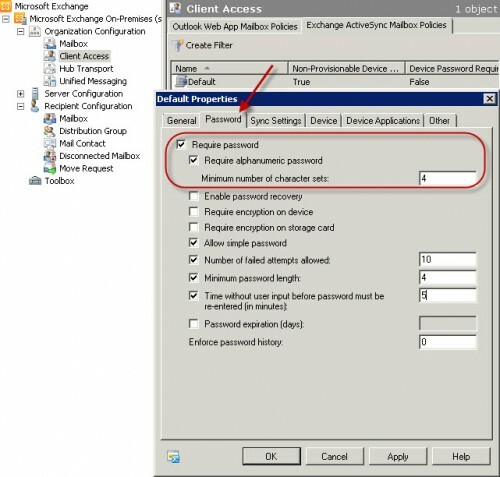 Posted in Blog, Exchange 2010, Howto, SBS 2011 by ronnypot at October 11th, 2011. You have to be careful with this one. I did this with one of our clients Nokia phone while it was already joined to the domain via Exchange mail and we could not find the pin code to unlock the phone. So I changed the setting on the CA Exchange to disable pin code and it automatically wiped the phone’s SD Card and did a Factory Reset to the phone. The client has lost all it’s contacts and files from the SD card. Strange, never seen this problem, which type of Nokia phone are we talking about? I have had this same issue as Ben mentioned. My client is using a NokiaN800, but his phone yet to be accidently wiped. 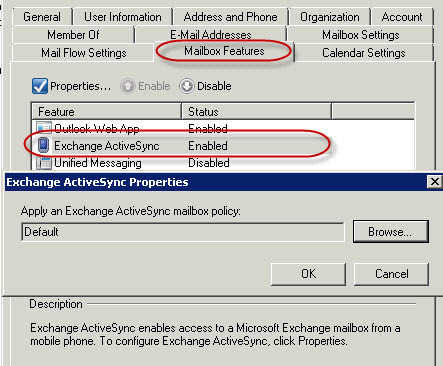 I have never used this for Exchange 2003 but you can configure some settings via Exchange System Manager I am not sure if this is the same.. Go to Global Settings, do properties on Mobile Services, click Device Security. Hope this is what you need, otherwise I think you have to go to the Smartphone dealer and they can help to disable it somewhere on the device. I have several customers with SBS2011. 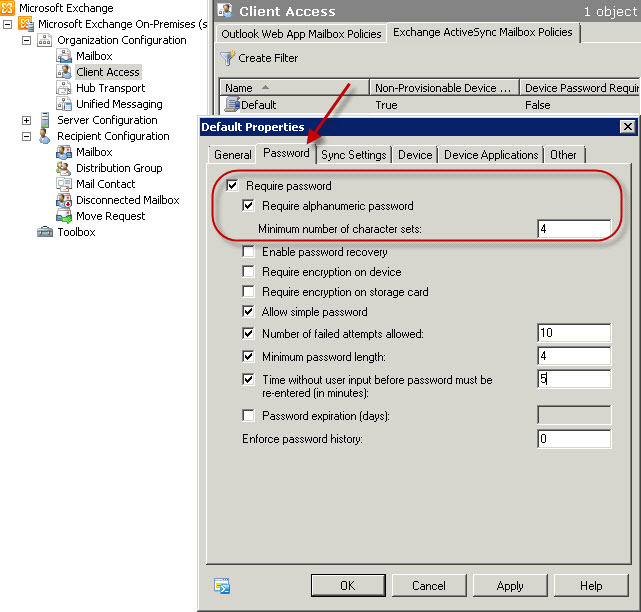 I have done sp 3 for Exchange 2010 on 2 of these and the “enforce pda password” turns itself back on. Both companies beat me like a baby seal on this. Any way to stop SBS from reverting back to default here? the 2nd one I knew it was coming and immediately disabled it but I was too late. it immediately started enforcing. I turned it off as soon as the sp completed. I have several more SBS 2011 servers to do. Thanks!